Styled with alamo thermal and testani skirt . The Kinglake is cut from soft, non-stretch denim that's been washed to get that lived-in look and feel. 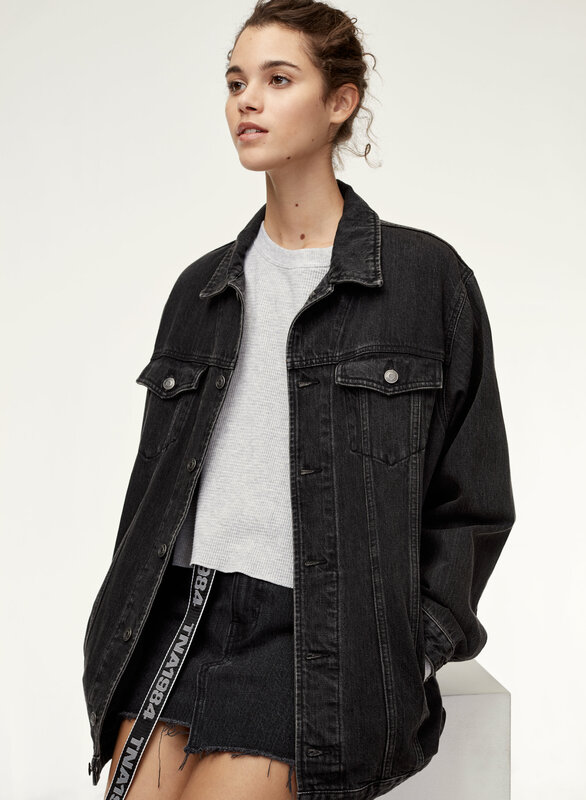 The elongated shape and relaxed fit gives it a laid-back, streetwear feel. I would expect the seams inside are covered with an extra fabric to make it more durable. The pocket seams and sleeve seams are messy. I like it but it's not gonna last more than a few years. 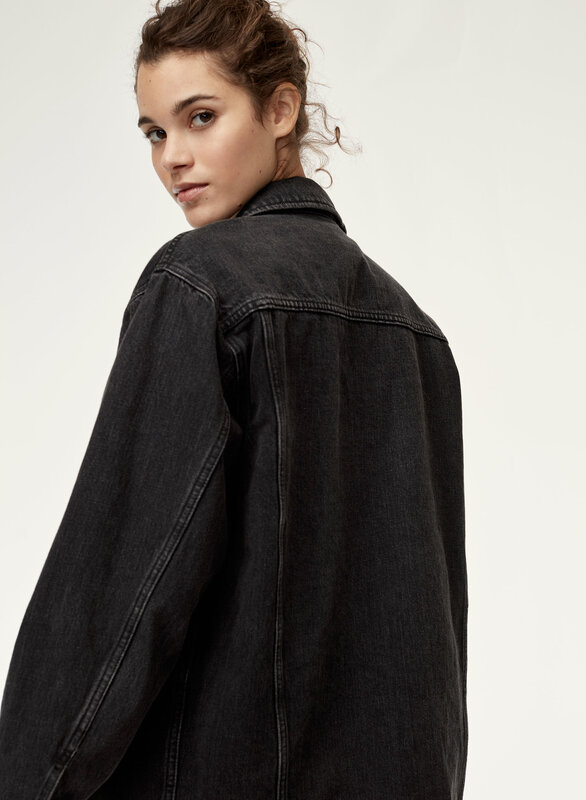 I had been looking for a black denim jacket in this wash for some time. 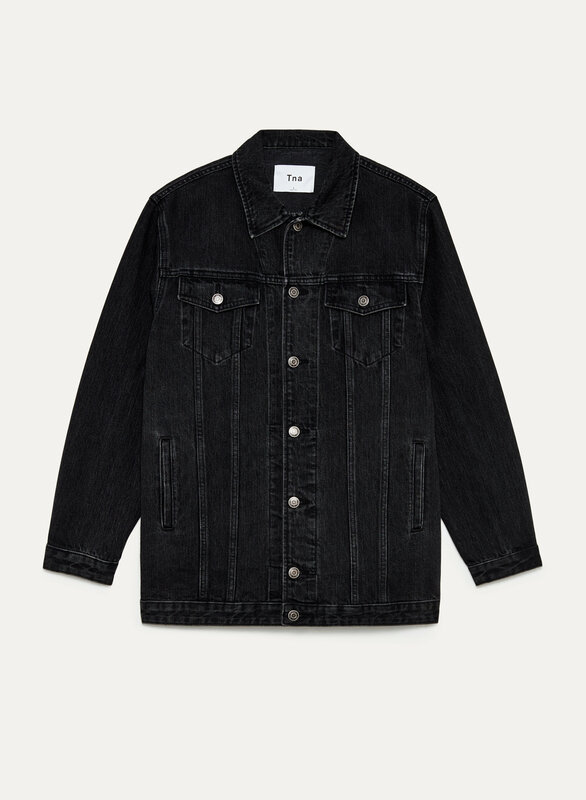 When I saw it at Aritzia (and on sale!) I knew I had to buy it. I was unsure if I should order an XXS or XS as depending on the item I’ve been able to fit anywhere from XXS-S at this store. I decided on the XXS and it was the right choice. 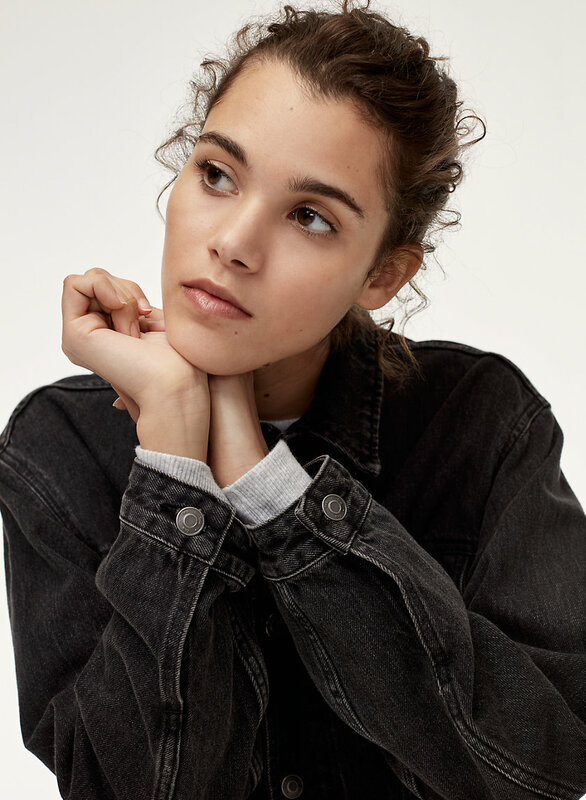 It’s an oversized jacket cut perfectly for petites. So keep that in mind when purchasing!